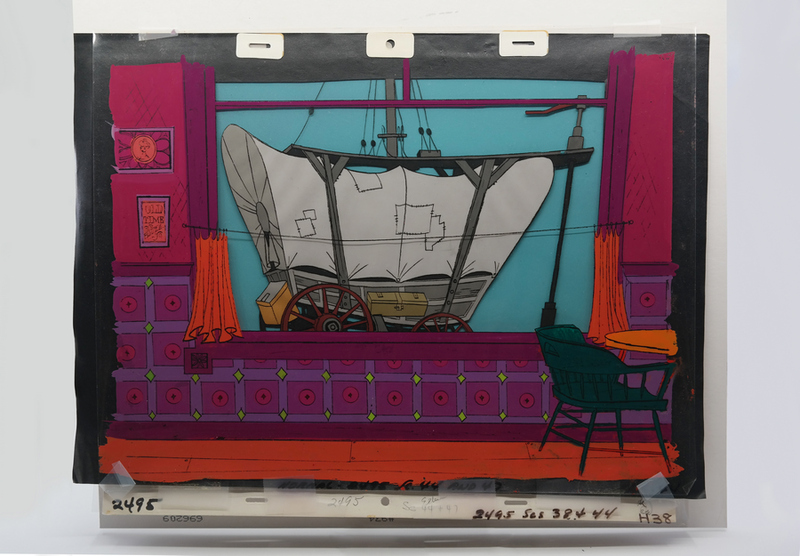 This is an original multi layer production cel setup from the Walt Disney Studios production The Saga of Windwagon Smith (1961). 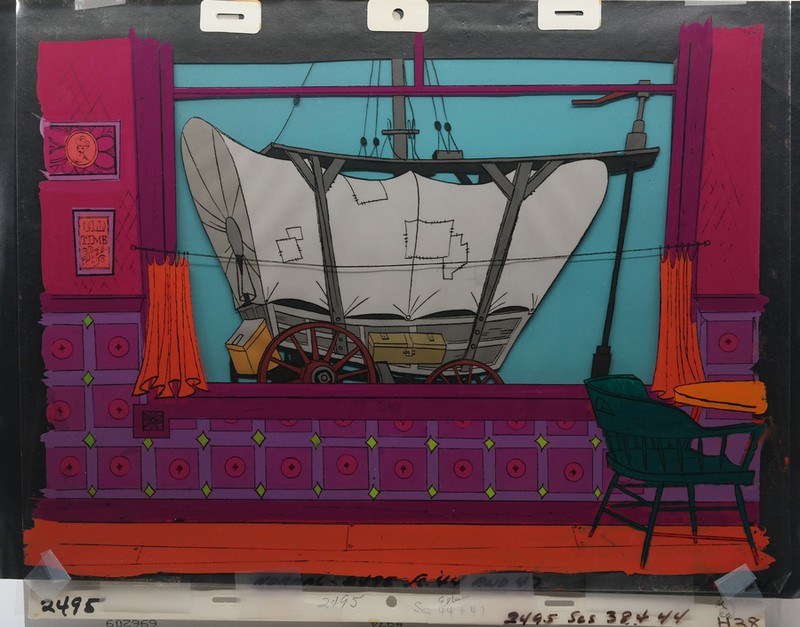 This setup features a view of the wagon as seen from the bar window. It was created at the studio and used during production, representing an actual frame of animation that was photographed and appears in the cartoon. The overall measurements of the piece are 15" x 17.5" and the image itself measures 11.5" x 14.75". The cel is in good condition with very slight paint lifting on left edge and bottom purple band.